Deciduous tree. Slow growing. Low branching, rounded form. 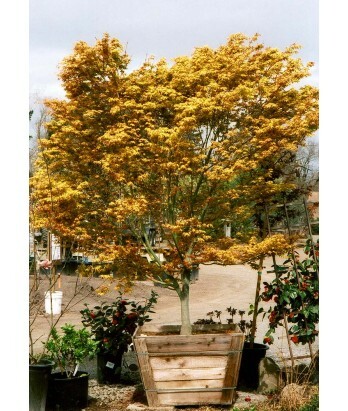 Foliage is brilliant lime-green with hints of orange color in spring. Outstanding rich green color in summer. Yellow and orange tones in fall. Moderate to regular water needs in well-drained soil once established.